The popular destination of Cannock Chase is home to a huge variety of wildlife, and local textile artist Jo Hill has been commissioned to create a brand new range of work to celebrate this. The artwork will be on display at the Museum of Cannock Chase and visitors will be able to view the exhibition this summer. The exhibition, entitled ‘Cannock Chase in Stitch’, features a range of contemporary interior textile designs inspired by the wildlife found on the Chase and will be on display from Saturday 24th June until Sunday 13th August. Visitors will be able to view and buy a specially selected range of Jo’s work that includes stitched depictions of birds, deer and the landscape of Cannock Chase, amongst many other new designs. 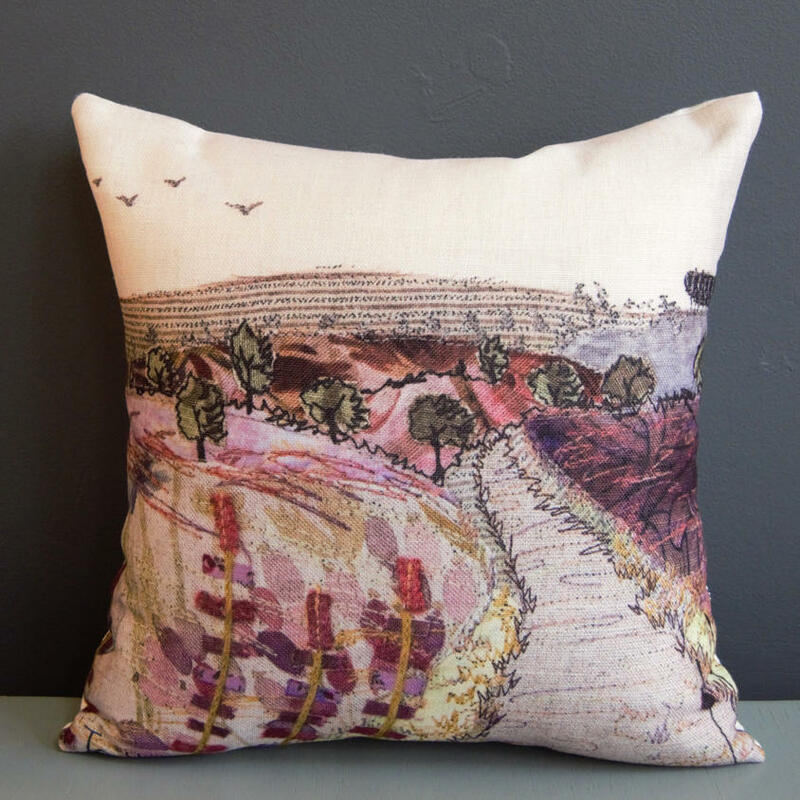 Jo is a textile artist and designer based just outside of Stone. 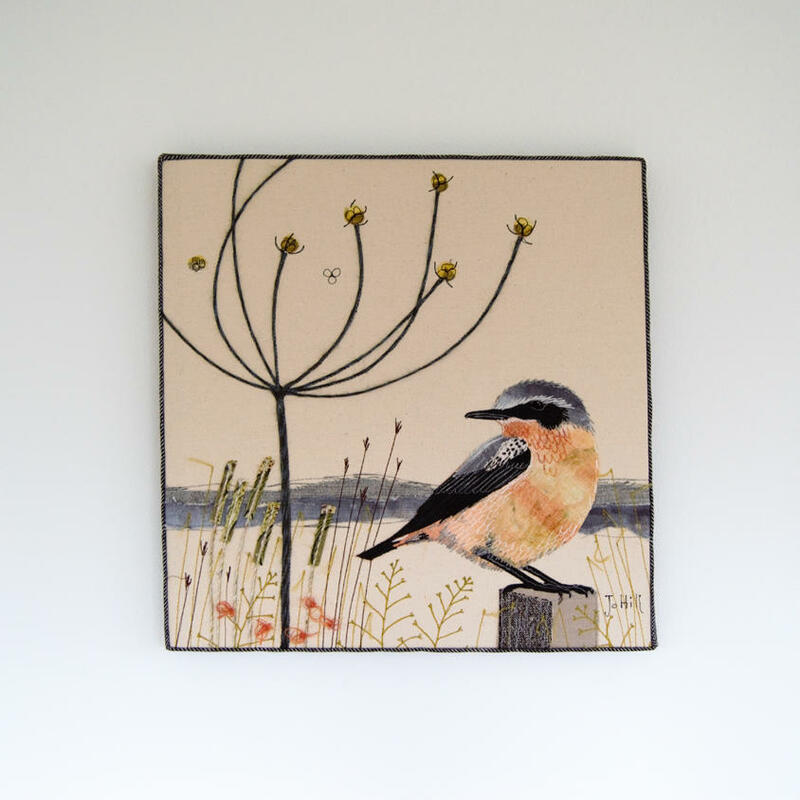 She creates luxury textile wall hangings, cushions, lampshades and chairs inspired by British wildlife and her work can be found in galleries across the UK. Jo uses appliqué and free-motion embroidery in her work, using the sewing machine to 'draw' the details of the wildlife on with thread to bring the piece to life. 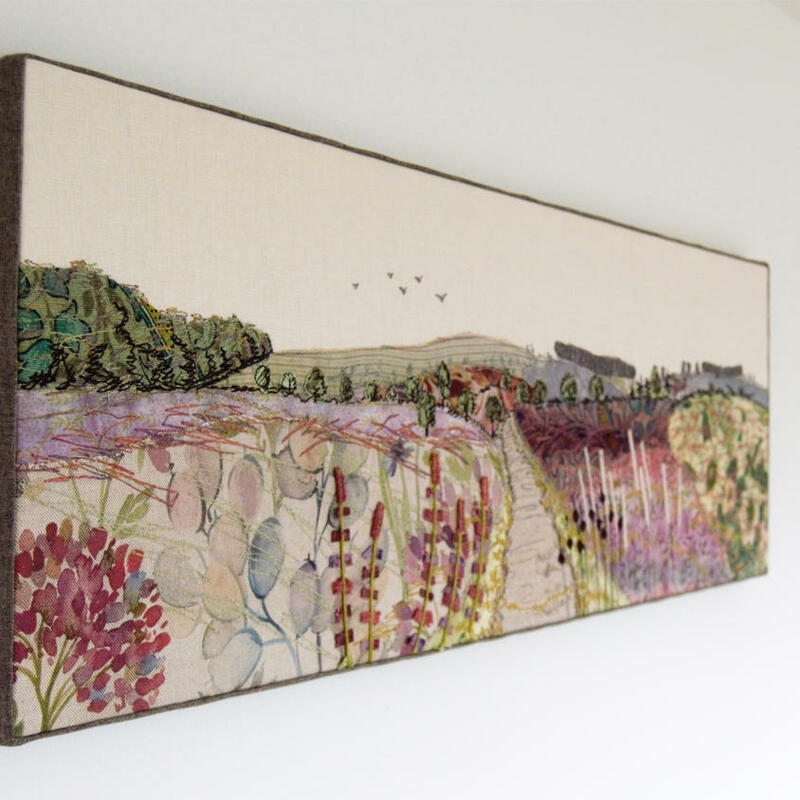 Jo has spent several years developing her unique style of design and this also involves hand-dyeing many of her fabrics to achieve the perfect colour to match the countryside that she depicts. "I remember we used to walk my dog Henry on the Chase every week and I have loved the location ever since, in particular the Seven Springs which is just a really beautiful place." Everything on display in the exhibition will be available to buy or commission: designs are available as complete collections which include lampshades, cushions and wall hangings. 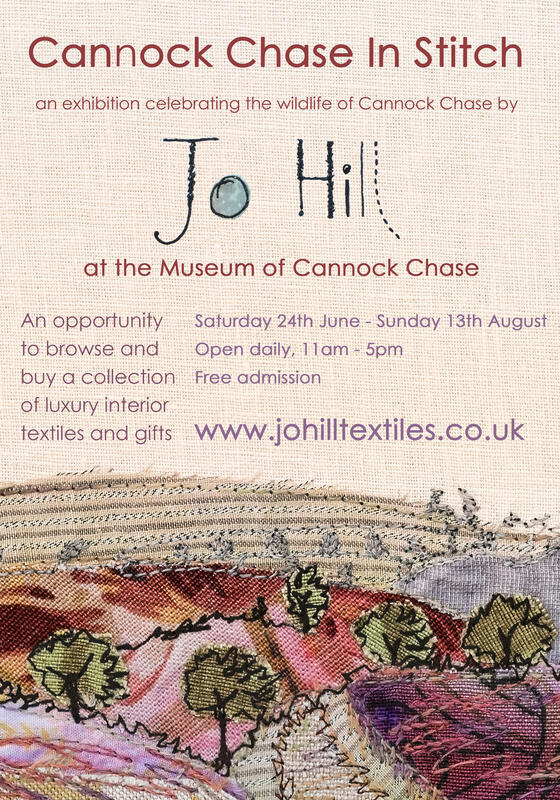 You can also view them here: http://www.johilltextiles.co.uk/cannock-chase. The museum is located at Valley Road, Hednesford, Staffordshire and is open every day, 11am – 5pm. For more information on Jo and to see further examples of her work, please visit www.johilltextiles.co.uk. 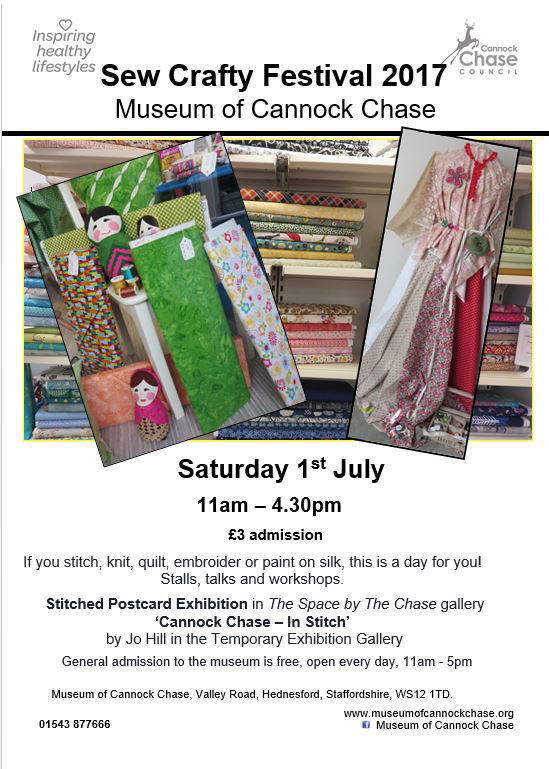 Visitors are also invited to the 'Sew Crafty' Festival, organised by the Museum of Cannock Chase, taking place on Saturday 1st July. If you stitch, knit, quilt, embroider or paint on silk this is for you. Stalls, talks and workshops for your delight! I am pleased to say that I'll also be there, demonstrating my sewing technique. More information can be found on the Cannock Chase website.